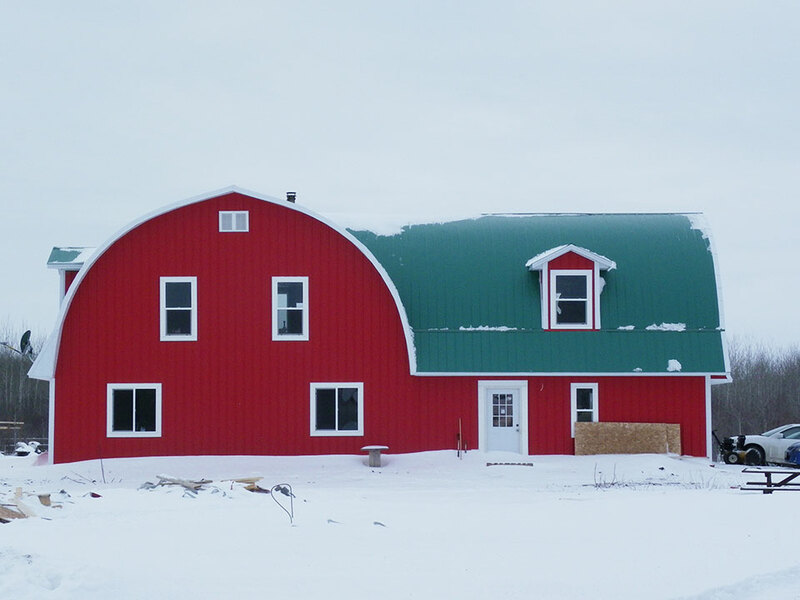 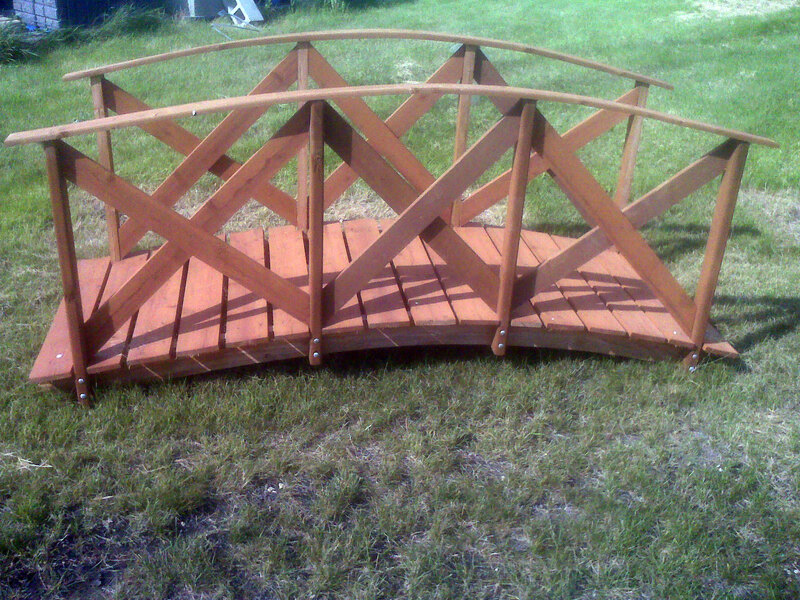 In addition to our arch rib rafters and our canvas shelters, we offer garden bridges, laminated straight beams, and mini sheds. 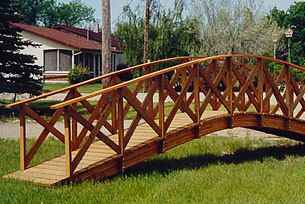 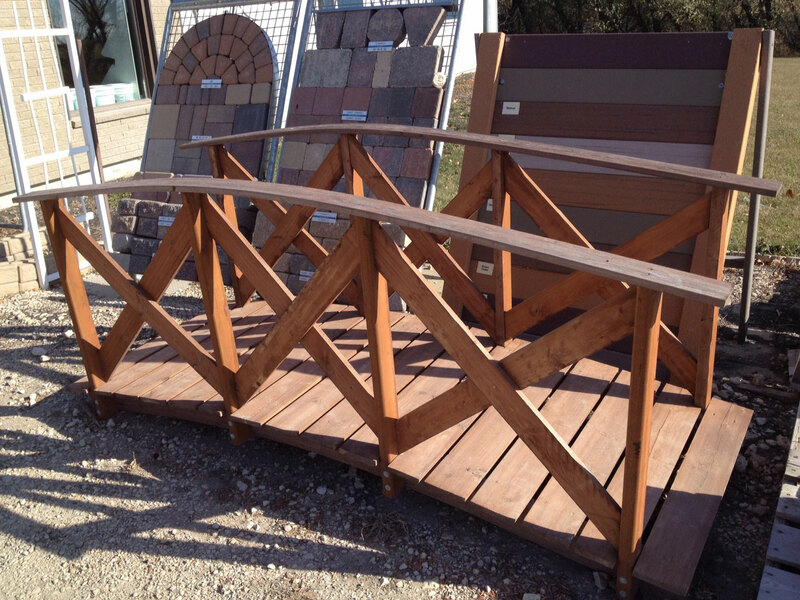 Our arched garden bridges add beauty and functionality to your yard or park. 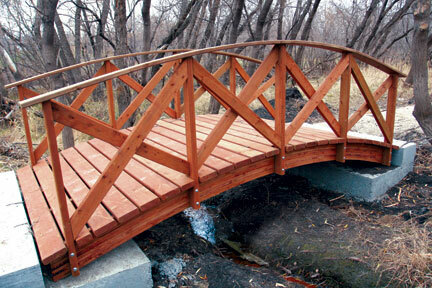 We will build according to your specifications on a per customer basis leaving the options endless (dimensions, railings, planks, etc.). 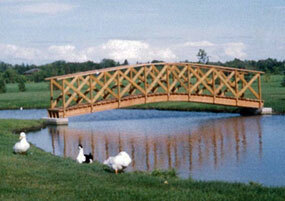 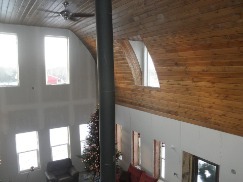 We also offer laminated straight beams. These beams are just what you need for extra joist support or to allow for that open ceiling. 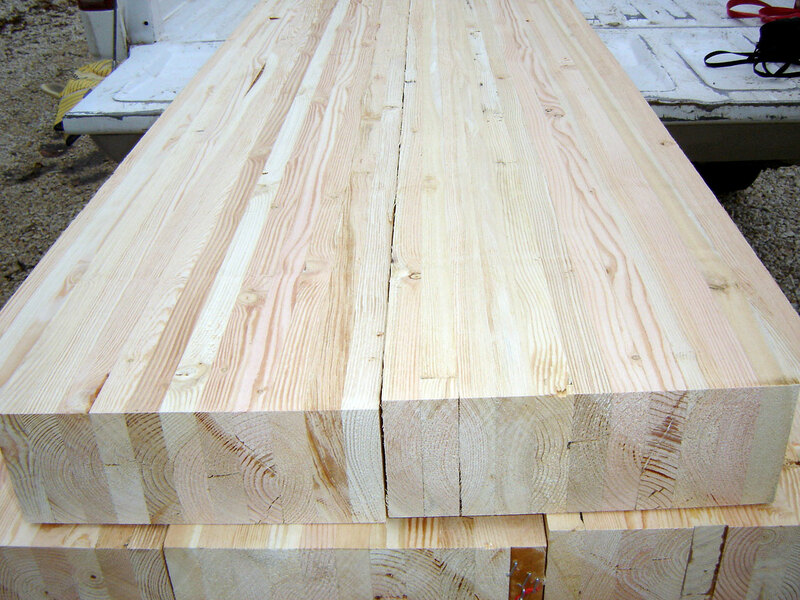 Again, these beams are built on a per customer basis per their specifications (number of plies, width, length) and are priced per board foot. 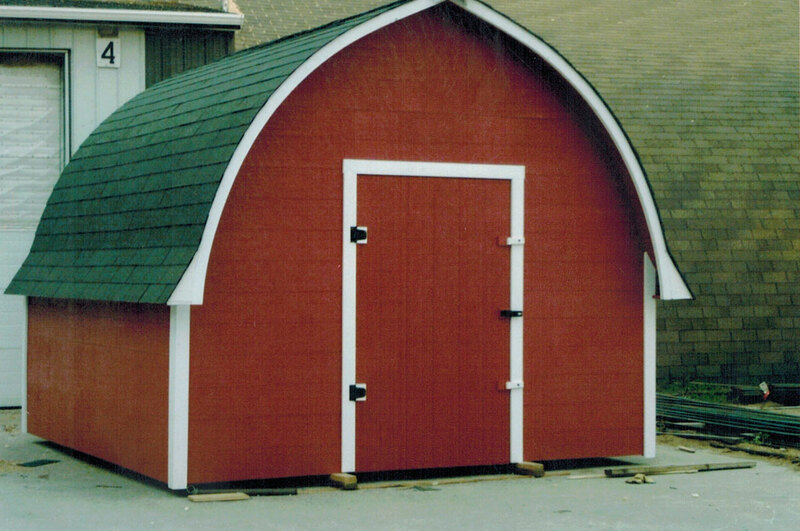 If you need a little extra storage space for your lawn mower or snowblower, our mini sheds are the answer you've been looking for. 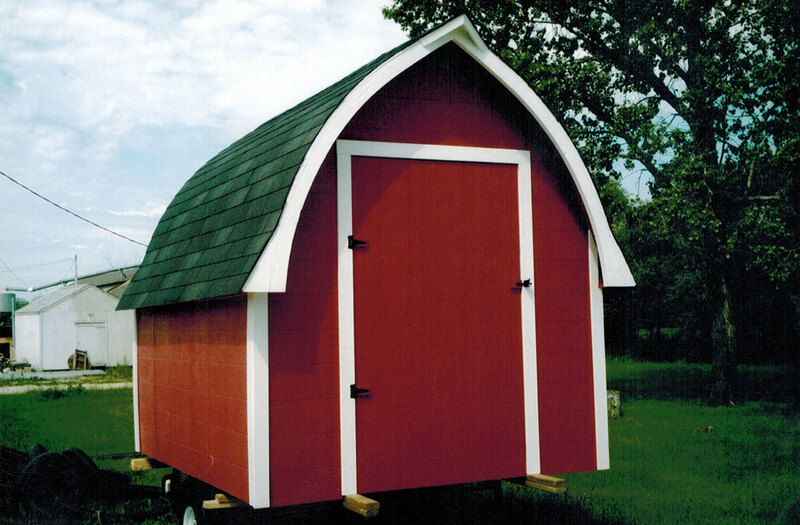 With rafters available in 8ft., 10ft., 12ft., and 14ft. 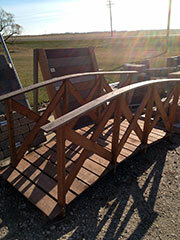 spans, they allow ample room to protect your garden tractor from the elements. 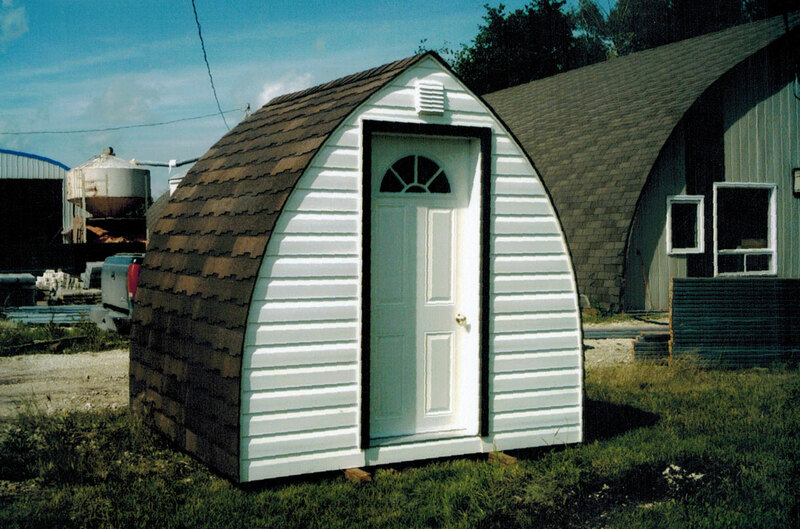 Our mini shed rafters are built on a per customer basis.